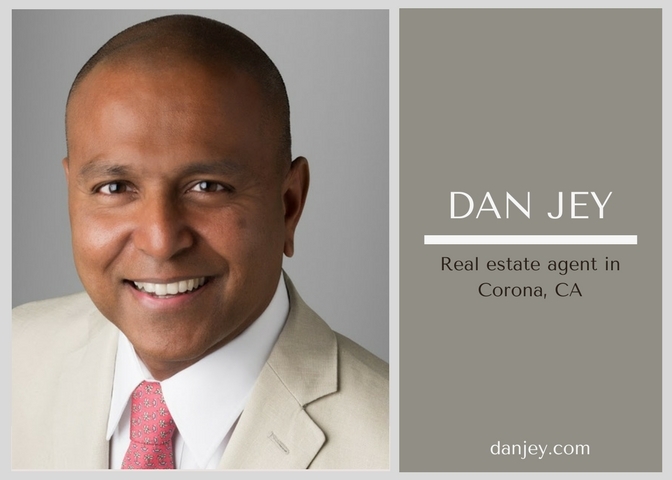 Dan Jey is a real estate agent based in Corona, California with over three years of experience. Dan has experienced a tremendous amount of success in a short span of time. Dan is grateful for this success and attributes it to his dedication to client needs and passion for selling homes. Plus, he truly enjoys working with people and helping them find their dream homes. Every real estate agent agrees that in order to excel in the industry you have to be a people person. Meeting different people & helping them achieve their real estate goals is one of the top reasons why Dan loves working in the industry. He especially enjoys hosting open house events. At these events, Dan gets to meet a number of people over the course of the day. Besides the passion that Dan brings to his work, he also sets himself apart from other agents by providing excellent customer service. It’s important to never miss a client’s phone call, and Dan rarely lets the phone ring more than two times. Clients appreciate that Dan is genuine and hands-on with his assistance which is why they leave positive reviews and recommend him to their friends. When clients work with Dan, they get a stress-free, positive home buying experience. Since Dan Jey works as a one-person show, there are particular challenges that he faces. For example, when he secures multiple listings in a single month it can be a challenge to service the needs of open houses. Fortunately, Dan works with Keller Williams and leverages the help of colleagues to assist him with open houses. However, Dan makes sure he always does the showings personally to deliver a one-of-a-kind experience to all his buyer clients. Before Dan Jey became a real estate agent, he worked as a high school science teacher in Corona for ten years. During this time period, he worked for three different schools: Granite Hills, Apple Valley, and Canyon High Schools. Working with young adults and teaching them about science was an incredible experience. In many ways, it prepared him for his current career as a real estate agent. Part of Dan’s job is answering every question that clients have and making sure they have all of the resources they need to find the perfect property. Outside of work Dan Jey enjoys spending time with his family. He particularly likes hiking and visiting local parks. Dan is also a big fan of cricket, a sport that is very popular in his native country of Sri Lanka. If you would like a copy of books authored by Dan Jey, visit DanJeyAuthor.com. You need someone who knows this area inside and out! Dan can work with you to find the right home at the right price for you, including all the neighborhood amenities that matter – not to mention the essential criteria you have for your ideal home.